Monthly meetings of the Northern Timber Cruisers are held on the 1st Wednesday of each month at 7:00 PM at the clubhouse on the lake road. Check out the all new TotallyYamaha website! It's your one stop mod, parts, forums and anything else you can think of related to all Yamaha products, not just snowmobiles. 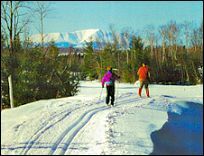 The Northern Timber Cruisers ATV and Snowmobile Club is pleased to announce that the Katahdin Region Multi-Use Trail (K.R.M.U.T.) is now open for ATV riding. After five years of planning and negotiations, this collaborative effort between the Northern Timber Cruisers, landowner Acadian Timberlands (formerly KFM), Katahdin area municipalities, Katahdin Area Chamber of Commerce and the State of Maine Department of Conservation, has resulted in a finely manicured 16.5 mile multi-use recreation trail. Highlights of the trail include scenic views of Jo-Mary Mountain and Katahdin, a suspension bridge over the West Branch of the Penobscot River, mile markers with GPS coordinates, access to the State of Maine's Seboeis Unit - Public Reserve Lands, access to other Mt. 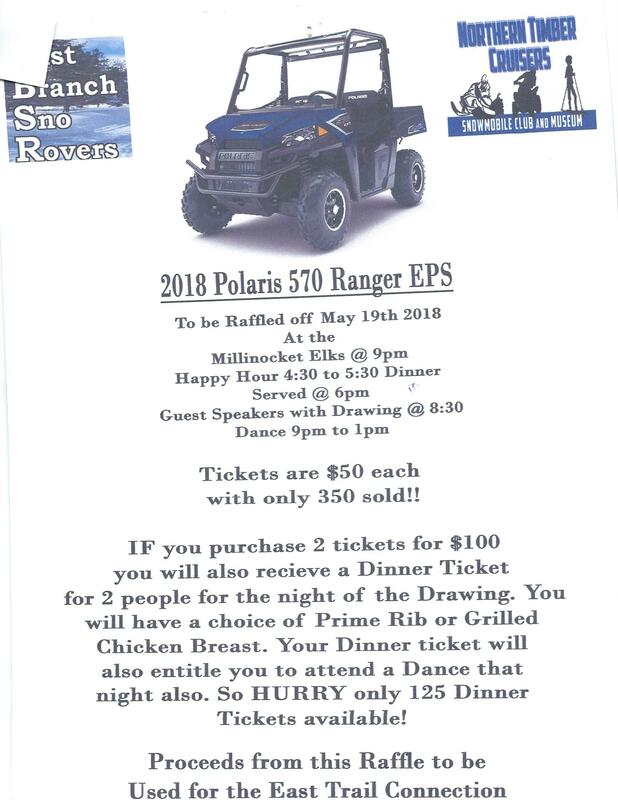 Bike and Cross Country Ski Trails, connectivity between Millinocket and the Brownville/Milo area ATV trails and the Northern Timber Cruisers Clubhouse and Antique Snowmobile Museum. A map is available for viewing and printing at this link. If trailering to the Katahdin Area to access the trail, please unload at the only designated trailhead, located at the Northern Timber Cruisers Clubhouse on Outer Bates Street just outside of town on the State Road to Baxter State Park. NO PARKING IS PERMISSIBLE ON THE GOLDEN ROAD, PER ORDER OF THE LANDOWNER - ACADIAN TIMBER. Do you need gasoline? Are you hungry? Are you looking for a place to spend the night? Riders can access Millinocket's Downtown Connector Trail at the trail junction between the Golden Rd. Crossing and trail mile marker # 2. OBEY ALL TRAFFIC LAWS. SPEED LIMIT 10 MPH. RIDE ON THE RIGHT. Riders may encounter Mt. Bikers and other pedestrian traffic on the trail, so please keep your eyes pealed and look out for each other and don't forget to Tread Lightly! Also, it is hunting season and Acadian Timber's lands are open to hunting, so we encourage ALL trail users to please wear blaze orange while afield. Let's be safe out there and enjoy the ride! PLEASE REMEMBER THE TRAIL HEAD IS AT THE TIMBER CRUISERS CLUBHOUSE....the landowner wants to stay away from everyone parking all over the place especially along the Golden Road and Arthur Yorks wood lot at then entrance of the Golden Road! 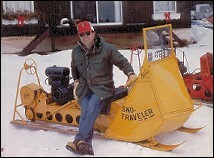 There are many benefits to becoming a member of the Northern Timber Cruisers Snowmobile Club. Download the membership application here and start your journey to the pristine Katahdin Region for some of the most scenic and exhilarating snowmobile trails in the state of Maine! 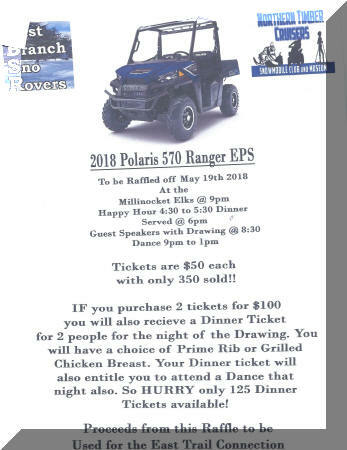 Officials, business owners and recreation enthusiasts from East Millinocket, Medway and Millinocket have long believed that all-terrain-vehicle use in the Katahdin region would inject millions of dollars into the regional economy during spring, summer and fall, much the way snowmobiling does during winter. Katahdin Forest Management, town officials and Northern Timber Cruisers club members have signed a nonbinding agreement to build Phase I, a 13-mile trail linking the snowmobile and ATV clubhouse to the bridge and South Twin Lake, by December — in time for snowmobiling. Visit Maine's only antique snowmobile museum ( located next to the Timber Cruisers Clubhouse in Millinocket) featuring over 21 exhibits and photos of antique snowmobiles. Open in the winter on weekends or by appointment, one can envision the early days of snowmobiling in the Katahdin Region by touring the two story museum. Come join us for the February antique show during school vacation! 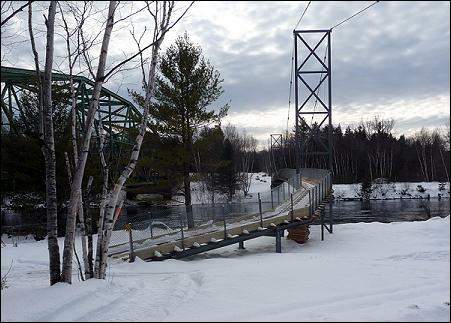 With Over 350 miles of well groomed snowmobile trails and 20 miles of track set ski trails, the Millinocket area is a haven for winter recreation.......Some trails are wooded and protected on windy days while others are open and scenic. Skiers can choose from two prime cross country skiing locations, each location featuring unparalleled solitude and scenery.